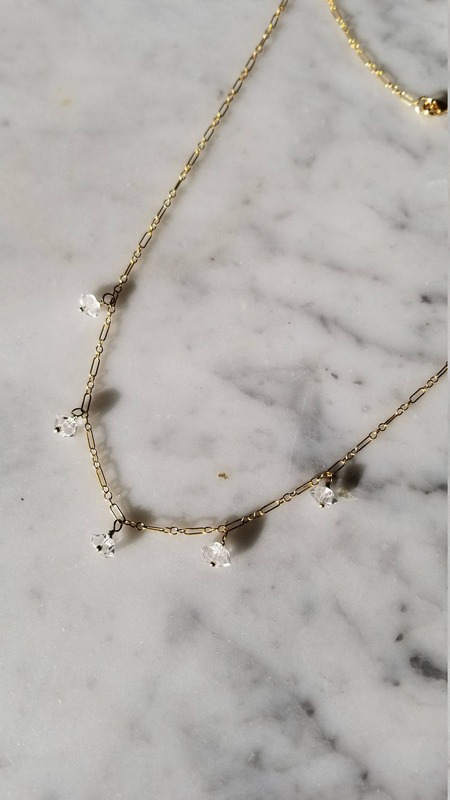 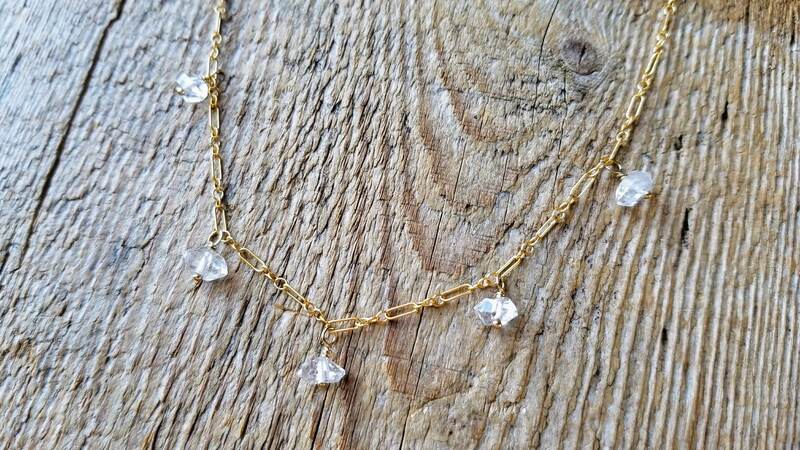 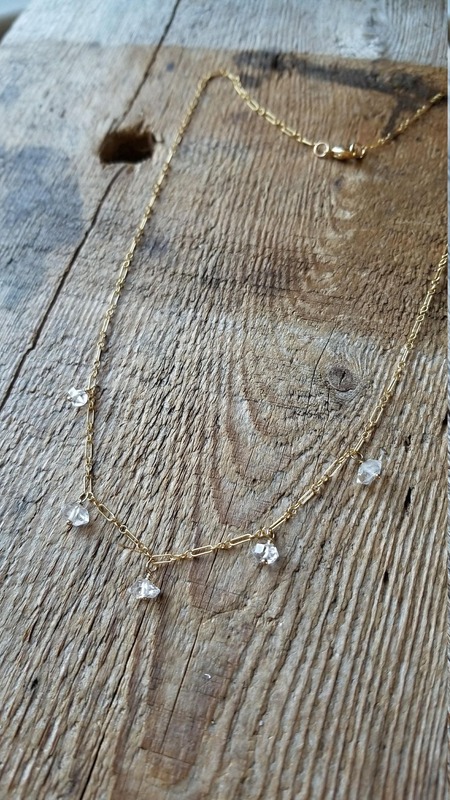 Beautiful water clear herkimer diamonds on delicate gold filled chain, finished with a gold filled lobster clasp. 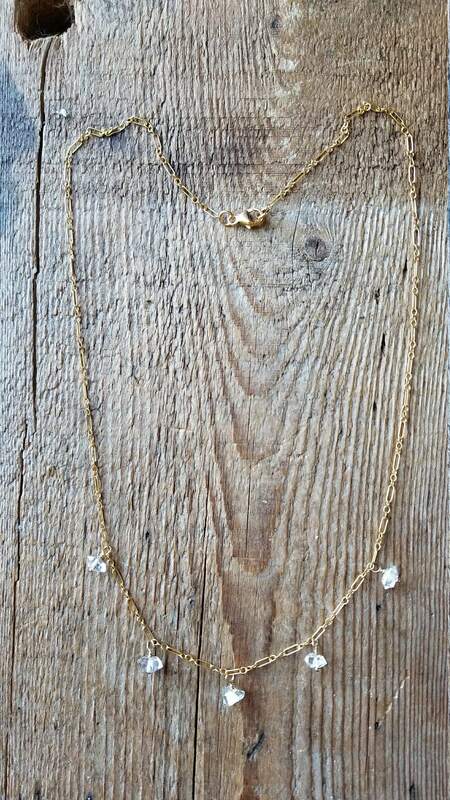 17.75" long. 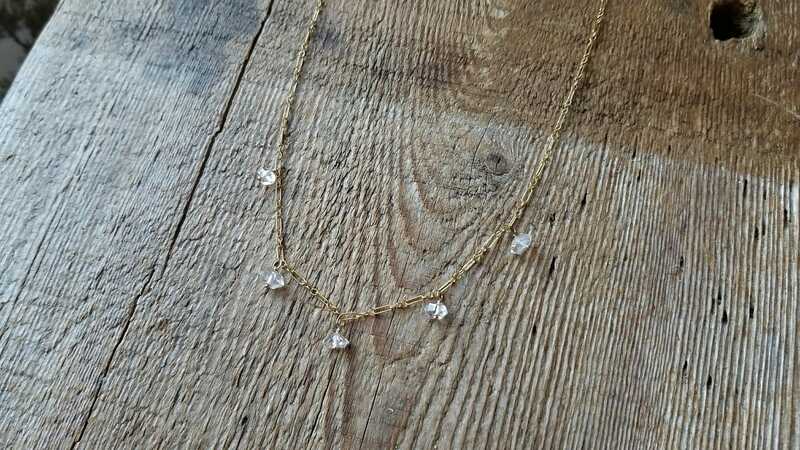 These are gorgeous Herkimer diamonds, measuring around 7-8 mm across.